A.G. Riddle ran internet companies before writing fiction. He grew up in North Carolina and now resides in Florida. You can learn more about Riddle and his books at his website. A global conspiracy is about to come out into the open when a villainous group, the Immari, plans to infect the world with a disease that will leave a superior race and take the next step in human evolution. Dr. Kate Warner, a scientist studying autism, and David Vale, a soldier trying to stop the Immari, team up in a race to save the world. I had an interest in forensic anthropology once upon a time. It still intrigues occasionally, but there was a phase where I wanted to explore everything I could on the subject. Even now, I dabble into that world reading about Neanderthals and hominids. The Atlantis Gene moves into that territory with scientists and super villains looking at the origins of human evolution. They are seeking the Atlantis Gene that would allow humans to safely pass through safety protocols developed by Atlanteans thousands of years ago. Otherwise, you die. The story doesn’t just look at human origins. It wraps other elements such as Nazis, time warps, secret societies, alien technology, and espionage around an action thriller. If it sounds like a lot, it is. Riddle uses a quick pace with short, one-page chapters often, which can make it feel like a movie. There are also moments where there is lull because of a big information dump to help the readers understand the science behind the fiction. Once would be OK, but the same type of info regarding early humans and sub-species is repeated several times by different characters. 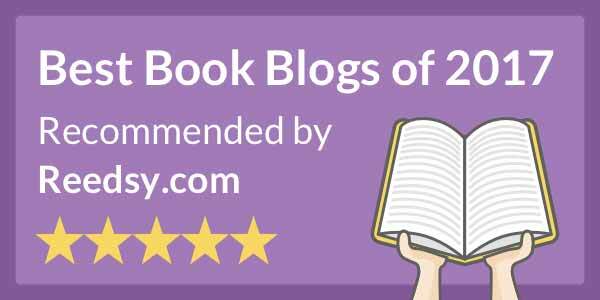 The book, while enjoyable, is filled with a number of clichés: the beautiful female scientist, the soldier with a difficult past, and Nazi bad guys. There are several books that I have read recently where I feel would be better off as serialization. I know serials aren’t as popular as they used to be, but The Atlantis Gene was certainly a book that fell into that category for me. The Atlantis Gene started quickly with face-paced chapters, slowed through the middle and picked up the pace toward the end. 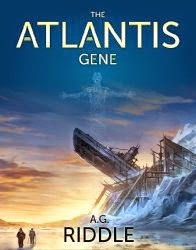 The Atlantis Gene may have worked better as chunks rather than a nearly 500-page book. Several editing and grammar issues. Thanks for the review. I have been eyeballing this book and was tempted. But I think the movie-pace of the book would not be to my tastes, at 500 pages.